I’m a gamer. I’ve spent countless hours hunched over keyboards and slouched back in a couch holding a controller; I’ve even done my fair share of time flailing with Wii remotes. It’s a great hobby and it’s something that’s really come to define a part of who I am. Over the years, I’ve grown attached to certain properties. Games like Mario, Zelda, and Metroid helped to shape my childhood along with Sonic and Sega’s band of misfits. Sega, Nintendo, Sony, and Microsoft have all had a part in shaping me, my imagination, my interests, and even my sense of humor. Gaming is more than what I do, really, it’s a part of who I am. With E3 just wrapping up, there’s a lot of hubbub going on about which of the two new consoles to get. There was a huge, and I mean huge, negative outcry against Microsoft’s Xbox One with gamers responding to Sony’s less restrictive PS4 with thunderous applause. The Xbox One requires a daily internet connection, it locks games to users’ accounts, there’s the possibility that publishers can block or profit from used game sales; these are all, obviously, awful things. These horrible things are all things that Sony’s last bastion of hope for freedom in gaming doesn’t do, so why pick the console that does? Well, the games. I watched the E3 press conferences for Microsoft and Sony and even the Nintendo Direct. I saw a few reasons to get a Wii U in the future, but nothing that made me want to run out right now to get Nintendo’s already dated home console hardware. From Sony, I saw them promise a less restrictive platform with a lower price point than Microsoft’s Xbox One. And from Microsoft, I saw games. Games I wanted. Games I cared about. All the reactions I’ve seen regarding who won E3 come back to Sony in that they announced a cheaper and less restrictive system. What I really wanted to see was games. I didn’t really feel like Sony delivered on that front. A large portion of what they showed off was stuff we’ve known about for quite some time. Sure, Sony has some great franchises in its library and I’ll no doubt be buying a PS4 when Quantic Dream (one of my all-time favorite developers) releases their next title after Beyond: Two Souls, but I didn’t see anything at their conference that made me want to have the system at launch. Microsoft, on the other hand, showed off Ryse: Son of Rome in its latest, controller-based iteration. It was damned gorgeous and captivating–something I’ll definitely want to play. They showed off a new Killer Instinct which will be available on Xbox One at launch. They touted some beautiful footage from Forza 5. They showed a little more on Remedy Entertainment’s Quantum Break–and I can’t miss a Remedy game. And, probably most importantly to me, they teased a new Halo game. Since the first title, I’ve been attached to the Haloverse–I’ve read the books, the comics, watched the anime, watched Forward Unto Dawn, and played all the releases on day one since Halo 2. It’s a story I care about and I was thrilled to see that 343 Industries actually cared about telling an epic space opera with Halo 4, so I’m more than a little excited to see where the franchise goes moving forward in this new trilogy. In addition to that, there’s some really exciting stuff in the “other” media features on Xbox One. While not gaming per se, there are two original television series in the works for Xbox One that I’m interested in following: Halo: The Television Series with one Stephen Spielberg being involved and Remedy’s extension to Quantum Break with episodes being tailored depending on decisions in-game. I love stories and that’s one of the most important things, to me, when it comes to what games I want to play. If the developers expand on the universe in interesting ways, I’m all for that. I’d love to see more of the Haloverse outside of the games (but inside canon). Now, I can’t say I’m entirely thrilled about everything regarding the Xbox One. It is baffling that Microsoft would think it’s a good idea to move forward with some of their restrictions (specifically the locked games and daily online access requirements), but these are things that, I don’t think, will affect me. Microsoft has confirmed that borrowing/lending as well as selling/buying used games will still be supported on the system. They’ve also made it sound like there’s going to be some great new ways to borrow and lend games with a sharing library where 10 users can have access to your library. What this means is that I can be lending out games to friends in a different state without having to give them my disc–they simply install the game and enjoy it based on my sharing settings. Pretty great. The downside is that these friends do need to be on your friends list for a minimum of 30 days and… well, that’s all I can really think of. I’ve got friends and family several hours away and being able to share games from my account is pretty awesome, in my opinion. I’m not strictly a console gamer; I’ve got a decently sized gaming library on my PC which is primarily thanks to Valve’s Steam. While I’ve always been a fan of how consoles worked differently than PCs with no needing installs, keys, or being able to easily lend your games as physical media, I can’t really complain about Microsoft’s system requirements when I willingly subject myself to similar or stricter restrictions on my PC. I can’t lend games on my PC, they’re locked to my account. I need periodic internet access to get on Steam. I don’t have a problem with this on my computer, and it really should have been expected that the console market would move in this direction sooner or later. I’m not defending the Xbox One’s restrictions, but I am saying that they’re not as ridiculous as everyone is claiming. If Microsoft has a solution for if and when Xbox Live is down, good, because that’s really the only problem I can see with the system. Really, my biggest concern is longevity. I still have all of my classic consoles. I’m really quite proud of my gaming collection (as I said earlier in this post, gaming is a part of who I am). I love going back to play some of my favorites in the best way possible–authentically. Sure, I can easily boot up an emulator and enjoy classic games that way, but there’s something special about holding the proper controller and taking it in the way I did 10 – 20 years ago. It’s a great feeling. So, since I’m such a nostalgic sap, what’s going to happen to my Xbox One library 10 or 15 years from now when Microsoft stops supporting the system? Will I no longer be able to go back and enjoy my favorite Xbox One games like I do with all my other classic consoles? That’s what I really want to know. Not that there’s much I can do about it, but I’d like to have my worries comforted as we move forward into a new console generation. 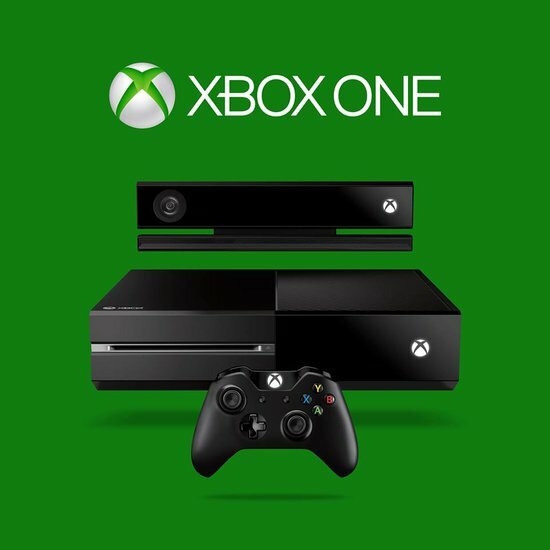 So, the Xbox One… I’ve made my big day-one decision and I’m sticking to it. It’s got the games I want, and that’s the most important thing to me. It’s nowhere near a perfect console and some of the restrictions are downright depressing, but I’d rather play the games I want to play than buy a PS4 simply to send a message to Microsoft.